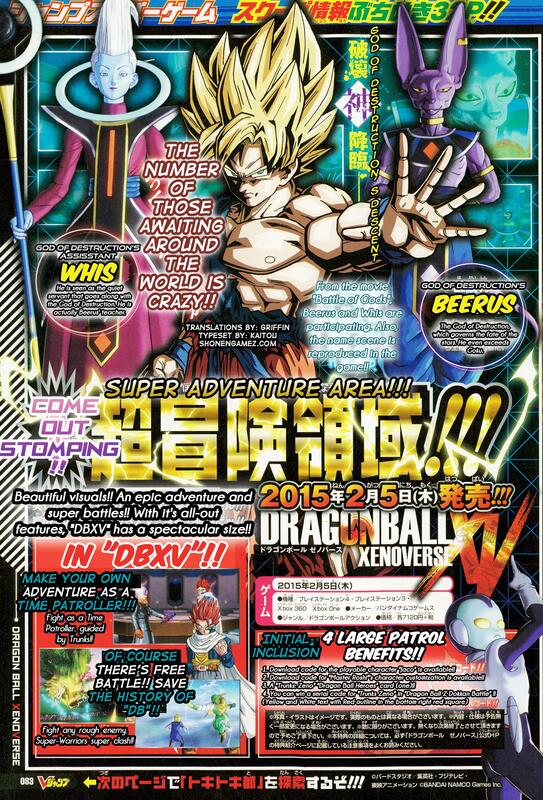 Expect more Dragon Ball Xenvoerse news to come tonight. yes now all I need is god goku, god frieza?, nd possibly god vegeta? Bottom left of the scan! Is that a giant Namekian? Had a feeling Super forms of Namekians would be like in DBO. Wonder how Humans, Freeza race, and Majins are handled. You have to stay with us. We need your eagle eyes! I’m 100% sure that God Frieza is confirmed. Watch Sergio’s Video from YouTube he has a hidden data about that. It should be in this Game. dont jump to conclusions, we dont even know what that is sergio didnt even figure it out, it was just a FRG which could mean more than you think. Bottom right of the Scan! Master Roshi character customization confirmed too. Man, this game gets better with every scan! ^^ Can’t wait! Does anyone know how one would obtain the codes for both Jaco and the Roshi gear? I’m super eager to redeem those characters and since I’m almost sure that nobody but Japan will get Jaco, at least, I’d like to know how to get the codes and redeem them on a Japanese PSN account. Damn, that would mean only a Japanese copy would carry em. Er, what? No. All new copies of the game will come with a code to download it, that’s what initial inclusion means. But Jaco is a Japan exclusive character, I speculate he’ll only be in copies from there. Jaco isn’t exclusive to Japan. Dragon Ball Minus and Jaco have been printed here. No one probably remembers this, but I suggested it it would be cool if Arale and Jaco could be in the game. Master roshi is going to be in this game? Does this confirm movie characters like Broly and Cooler? I mean Beerus and Whis are movie characters so I don’t see why not.